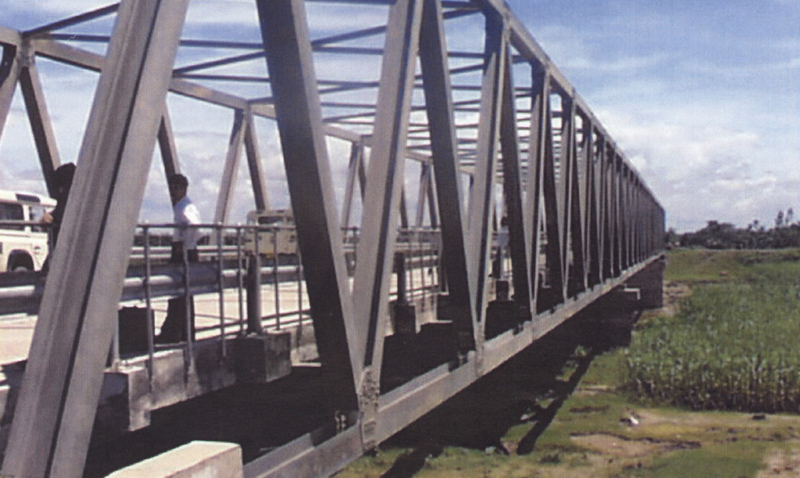 As part of a joint venture with Waagner Biro, Qualter Hall provided 15 road bridges to withstand the tough climactic conditions in Bangladesh. The galvanised steel bridges were manufactured and partially assembled in Qualter Hall workshops before being dismantled for shipment and then reassembled on site in Bangladesh under Qualter Hall supervision. Bridges range from 25 metres to more than 198 metres in length. The longest single span bridge built by Qualter Hall was 120 metres, whilst the longest bridge was made of 3 spans totalling 198 metres in length.